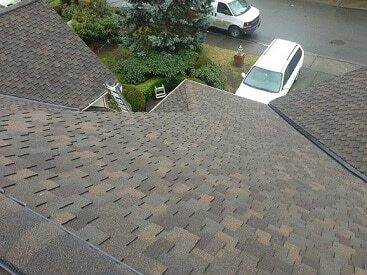 Find the best Bellevue Roofer offering 100% customer satisfaction! If you are looking for a quality Bellevue roofer services in your area, look no further. JNS Roofing is without a doubt is the best Bellevue roofing contractors around. Here at JNS construction we understand that nothing is more important than knowledge and reliability when it comes to your roof, luckily for you we are certified by the National Roofing Contractors Association and have been working in the roofing industry for over 30 years! We offer a wide variety of services that include everything from repairs to a complete roofing renovation. We understand that Bellevue is wet enough without a leaky roof that is why we take pride in providing the highest quality roofing services to ensure that your roof protects you and your family for a long time. Aside from our top of the line Bellevue roofer service, what truly sets JNS apart from our competitors is the fact that we genuinely care about each and every one of the customers that we do business with, and this can be seen through all of our glowing customer testimonials. If we have learned anything through our 30 years in the roofing business, it is that the only thing that makes our customers happier than our great roofing services, is our great customer service. That is why we aim to create a relationship that will last even after the job is done. Let JNS Roofing and Construction Inc. be your first call for all of your roofing needs. Our motto at JNS Construction, is “the best customer is a repeat customer”. Each day we strive to be industry leaders when it comes to our customer service. We go above and beyond when interacting with all of our customers to not only provide an excellent service but also leave you with a smile on your face! The results of our efforts for customer service can be seen in all of our amazing customer reviews and our 100 percent customer satisfaction rating. When you call JNS Roofing know that the person on the other end of the phone is a member of the Bellevue community just like you. That is why when you support JNS Roofing you are strengthening the Bellevue community and a local business from your hometown! From the Bellevue High School Wolverines to a reliable roof over your head we share the same views and interests as the other members our community and you can see it in our service.we provides the best bellevue roofing services. At JNS Roofing we believe that nothing is more important than the customer. That is why we do our best to communicate honest expectations to all of our customers and listen to all of their suggestions and preferences so that we can always be on the same page when it comes to work on their roofs. We’ve been working on roofs for a long time and our reputation speaks for itself. Don’t believe us? Read some of our amazing testimonies or check out our A+ rating by the Better Business Bureau! No matter what the job is, you can rest assured JNS Roofing is the right Bellevue roofing contractors for the job! Always make sure that you are receiving a roofing service that is reliable and fairly priced. At JNS Roofing we understand that roofing work can be a major construction job. That is why we take it very seriously and always do our best to get quality work done in the least amount of time possible. Other roofing services will try to trick you into buying projects that you don’t need or take forever to get the job done, we pride ourselves in our honesty and won’t charge you for anything that you don’t absolutely need or time that wasn’t spent on your roof. Come see how a better business operates at JNS Roofing and Construction Inc.
JNS Roofing prides itself on providing roofs than can withstand the worst of mother nature’s conditions. We are dedicated to solving all of your roofing problems such as leaks, re-shingling, remodels, and any other project that your roof may need. That’s because here at JNS Roofing our employees strive to produce the best work possible everyday. Each member of our staff is nationally certified and trained for a variety of roofing work so you can be sure that the person working on your roof is up to date on all of the latest techniques and protocols that are required by the National Roofing Contractors Association. However our work is anything but standard, we go above and beyond with our services. This is because we owe it to our customers and ourselves to achieve the highest level of craftsmanship. We at JNS Roofing and Construction Inc. believe that every family deserves a roof over their head and we aim to provide them with one. Don’t settle for failed promises and a roof that won’t last. JNS Roofing and Construction Inc is a business that stands by their word and their roofing work. What are you waiting for?! Call JNS Roofing at (425) 210-1992 or email us on our contact page today to take care all of your Bellevue roofing Contractors needs! You can also read reviews on Google +.